These elite athletes are ready for big things this winter. 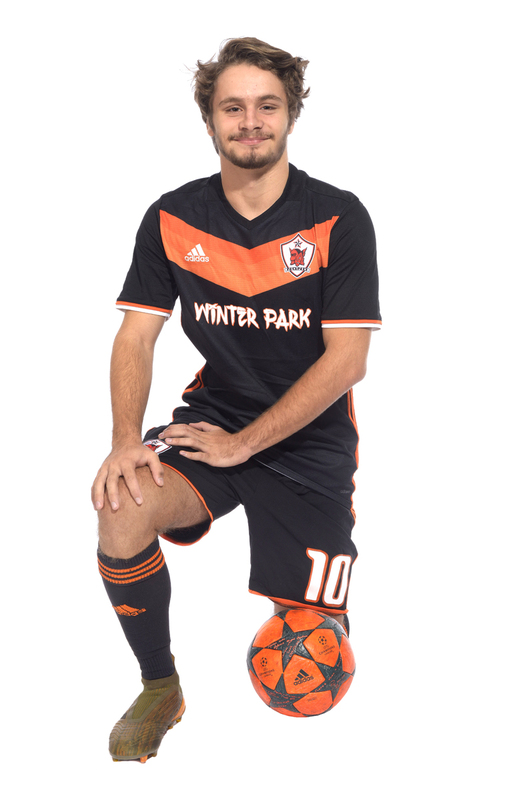 A senior midfielder originally from Brazil, Alvarez recorded 16 goals and 13 assists last year as a junior to lead Winter Park to a district championship and 16-4-1 record. He hopes to guide the Wildcats to a state title in his final season. Are you feeling confident heading into your senior season after what you were able to accomplish last year? Yes, I’m pretty excited. It’s supposed to be a big year for us, especially since we didn’t lose a lot of seniors and most of the players are coming back. I want to win states because that would be great for the school and for me. No, I just want to work hard and do good things for the team. I want to be a leader for the team. 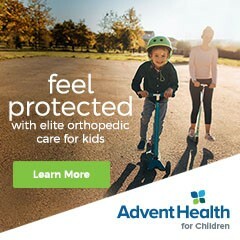 Have you been playing soccer your whole life? I started playing when I was 4 in Brazil; that’s where I was born. In Brazil it’s the most famous sport so everyone likes it. All my friends played and I’ve been playing since I was a kid. I just love it. How old were you when you moved to Florida and how do you like living here? I was 14 when I came here. I never went back to Brazil and I don’t want to because I really like Florida. I miss my family but I like the U.S. Our high school is pretty different and I like Florida because there’s a lot of things to do. It’s all new for me, including the language. Was it a tough adjustment when you first arrived here? I didn’t speak English at all; I learned here. I was really confused and I couldn’t understand anything. I had a couple of friends who spoke Portuguese or even Spanish that I could understand a little bit. But it was really hard the first year. I liked Ronaldinho and Cristiano Ronaldo. I liked a lot of players but those are the two I liked the most. I still watch my club team, Fluminense, and the Brazilian national team. Did you hear a lot of Pele stories as a kid? Yeah, everybody loves him in Brazil. They say he’s the best ever and he scored a lot of goals. It’s hard for me because I’ve never seen him. I’ve seen videos but soccer is really different now, so I just focus on today’s players. I want to play pro [soccer]. If I can’t do that, then I’ll play in college and try to play pro after that. What do you like to do when you’re not playing soccer? I really like sports so I’ll play any sport. I also like to hang out with my friends. I have a Universal pass so I go there a lot and sometimes I go to Disney. A four-year varsity player for one of the premier programs in the state, Nowak had 22 goals and nine assists last season as Oviedo went 22-1 and reached its fourth straight state final. She will continue her career at Belmont University in Nashville, Tennessee. Last year was another great one for the team, but of course it didn’t end the way you wanted it to with a 1-0 loss to Lourdes Academy in the state final. Has that fueled you in the offseason? Yes. I think everybody wants to get back to winning again. Everybody expects us to win; people in the school who aren’t on the team. They don’t know how hard we work to get there. So I think losing last year made us want to win even more this year. Was there a lot of pressure last year with the unbeaten streak and shutout streak? Yes. We all take a lot of pride in having no goals against and winning all those games. The whole school rallies around us, which is really cool because they support us. But they expect us to win every year, and we just have to take it game by game and see how it goes. After the graduation of a terrific senior class last year, do you see yourself stepping into a leadership role? Definitely. We all got really close last year—the juniors and the underclassmen. I think I can be an influential figure to the freshmen coming up and the new players joining the team as a senior who has been on the team all four years. What was it like being part of two state championship teams as a freshman and sophomore? It was incredible being on a team that was so close—like a family. Seeing us develop from freshman to sophomore year and being able to win both times was just awesome. Being with a close group of friends made it even better. Do you pay attention to your personal statistics at all? I do; our coach always brings it up. He told me, ‘This year I see you beating (22 goals).’ I hope I can, but as long as we’re doing good as a team, beating that number isn’t all that important to me. Have you always been a goal scorer? I’ve definitely scored more goals every year as I’ve gone through high school. I think freshman year I only had three, then I went up as a sophomore and last year I had 22, which was my most ever. I think I play a position that allows me to score a lot of goals and the way we play gets me the ball easily, so I can score more. What made you commit to Belmont? The people, the coaches and the team are really nice people. The campus is beautiful, and they really showed interest in me and made a lot of effort to get me to go there. What are you going to miss about Florida when you head to college? I like being close to the beach. I’ve always lived in Florida so I don’t know any different. I’m a little bit nervous that it’s going to be kind of cold; I’ve never seen snow or anything like that. So I’m hoping it doesn’t get too cold and I don’t freak out. I’m getting there. I don’t hate it but I don’t know a lot of the big-name people so I’m trying to learn, and my friends are helping me. I usually just listen to hip-hop or pop on the radio. I’m not too sure. I know I’m interested in chemistry and biology. I just have to see if that’s the path I want to go on. What are your hobbies aside from soccer? I like to go to the beach and hang with my friends. Most of the time we watch movies or go get food and just hang out. Do you have a favorite beach? I like New Smyrna because it’s easy to drive onto. It’s the closest beach too, and it has a lot of cool shops you can walk through. A 6-foot-8 forward, Walker played on back-to-back state championship teams the last two years at Orlando Christian Prep before transferring to Oak Ridge for his senior season. A tireless defender and rebounder, he is ranked by ESPN as the No. 19 recruit in the country. How are you fitting in over at Oak Ridge? So far, so good. Everybody has been great and we’re going to have a good season this year. Was it tough to leave Orlando Christian Prep after winning two state championships there? Yeah it was, but the only thing I can do now is work to get my third one. How are you enjoying the recruiting process? It has its ups and downs. Sometimes it can get stressful. At the end of the day I know it’s something that some people can only dream of, so I take pride in it. I know you have reduced your list to three possible schools: Oregon, LSU and Miami. What do you like about each one? They all have a good plan for me and they all play an open offense: run, spread, pass, press. That’s pretty much everything I need at the next level. On defense, they want me at the top of the press to showcase my length and athleticism. Obviously, defense is a big part of your game. Is it something you enjoy doing? Yeah, definitely. The last couple of years my defense has always led to dunks. Do you feel like you’re developing your offensive tools and becoming more of an outside shooter and scorer? Yes. I work on my game every day and that’s something that comes with time. Your former teammate, Nassir Little, is now a freshman at North Carolina. Did he have a big influence on you? He hits my phone up before I go on visits and before big games. I look back at what he did and try to work off that. What are your expectations for your final high school season? This year I’m working on leadership and getting my teammates more into the game. I want to distribute the ball a lot and get everybody some points. I hope to get everybody a ring and some [college] offers. The main focus isn’t on me; I’m just looking to help my teammates out. What are your interests when you’re not playing basketball? I’m one of those Fortnite guys. I like to watch The Boondocks too. What do you like about growing up in Florida? It’s just home to me. After every trip I always come back here and [appreciate it]. Sanford and Orlando is just what I’m used to. I like the weather and I like the people here. Is the NBA a goal of yours? Yeah, I can see that in two or three years. That’s something I always dreamed about. It’s every hooper’s dream to play in the NBA. To see it come true would be really big for me and my family. I’m working hard for that. Payne, a 6-foot-9 center, is an outstanding defender who can block shots or guard any position on the floor, and he helped lead Kissimmee Osceola to a state title two years ago. The nation’s No. 35 recruit according to ESPN, he transferred to Montverde for his senior season and will continue his career at the University of Florida. How is the transition to a new school going for you? It’s been a good transition. Coming from where I used to be, you have to be ready to play every day. It was a tough decision but at the end of the day this is a better option for me. What made you decide to commit to Florida? I like the school and the coaches recruited me hard during the school year. I saw the head coach a lot during my AAU season too. That showed me that they really needed me; not [just] wanted me. I was very comfortable with the coaches when I took my visit. That helped me make my decision. You’re part of a well-regarded class coming to Florida next year. Are you excited to get to know and play with other top prospects like Scottie Lewis and Tre Mann? Yes sir. Tre Mann is another Florida kid so I know him very well. Scottie Lewis, I’ve watched him play so I know he’s going to come in with great energy. What are your goals for your final season of high school? I want to prove myself, move up in the rankings and get better as an individual. You’re known for your defensive prowess. Is that a part of the game you enjoy? Yes sir. My dad always told me, ‘Defense keeps you on the court.’ So I’ve kept that in my head. It brings me energy, because after I get a block I want to go get a dunk so it makes me run harder. Are you trying to become more of a complete offensive player and extend your shooting range? Most definitely. I’m trying to work on a little bit of everything. Do you have any favorite NBA players—guys you try to emulate? I watch a little bit of everybody but I liked Anthony Davis when he came in so I watch more of him than anybody. What are your hobbies away from basketball? I like to hang with friends and play video games. I play a little bit of Fortnite but mostly Call of Duty and [NBA]2K. There’s a lot of athletic kids so there’s competition everywhere in Florida. 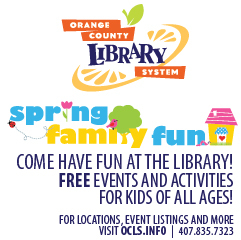 It’s a great area and Central Florida is a great place. What are your favorite classes in school? I really enjoy history. I like learning about how stuff was back in the day and how that brings us to now. I also enjoy science a little bit. Do you see yourself playing in the NBA in the future? Yes sir. I just have to work for it and get better every day to get there. A 5-foot-9 senior guard who has played varsity since her freshman year, Wilson averaged 18 points, six rebounds and four assists as a junior. She is being recruited by several Division I colleges, including Southern Mississippi and Florida State. What are your goals for your final season? I just want to always hustle in every game and try my best, no matter if we win or lose. How old were you when you first started playing basketball and what do you love about the game? I started playing in sixth grade. I just like that it helps take my mind off things. I like to pass and set up my teammates. Lisa Leslie. She came a long way. I go to the court every Saturday for pickup [basketball]. I also work [at a] culinary [job]. My dad [got me into it]. Alfredo [is my favorite dish]. Have you made a college decision yet? No, I’m not sure yet. I’m still debating. I’m looking at a lot of schools, but [Southern Mississippi] is my main choice. I want to do something in business or accounting. What’s the best part about growing up in Florida? I like to watch CSI. My favorite movie is Friday. I like R&B and hip-hop. A senior, Andrew won the Class 1A state championship at 195 pounds last year by pinning his opponent in 1:06. He also helped the Highlanders win the inaugural dual match series state tournament and claim their sixth individual bracket tournament state crown with a record 333 points. How does it feel to be in your last year of high school? I’m excited; everything is going well. It’s not really weird. I’m just excited to start college and experience that and get out of high school. Looking back on last year, can you describe what it was like to win your first state title? It was really exciting because it was the first time I won. I think it was even better because I didn’t start the year before that, or any of the other years before that. The first year I started on varsity I won states, so that was pretty cool. And you also won by pin. How did you immediately react? I was pretty pumped. I just got up and raised my hands and started clapping. Are you focused on making it two state titles in a row this year? Definitely. But I would say I’m more stoked to win at the bigger tournaments that we have on our schedule, like Beast of the East in Delaware and Ironman in Ohio. I also want to win all my matches at [a tournament called] Who’s Number 1 Duals. I think those are more important than states, but winning states is also really cool so that’s obviously one of my biggest goals too. What is the atmosphere like at those major tournaments like Beast of the East? The first day of wrestling is actually really cool because there’s a ton of people and the stadium is really full. But the tournament is on Saturday and Sunday, so it’s pretty empty for the finals because everyone has to go home on Sunday. So people who aren’t wrestling just leave. 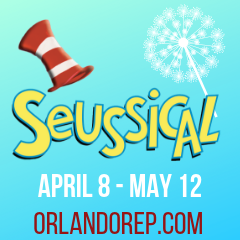 What is it like to be part of a renowned program like Lake Highland? We have a pretty good wrestling program but I don’t really think about how other people look at us. Do you and your teammates push each other inside the room? Oh yeah. We definitely all push each other inside the room and make sure nobody is doing anything bad. Actually today, our coach got on us because we weren’t doing good reps. I think it’s good when he does that because it keeps everyone in check and helps us become the best wrestlers we can possibly be. I was in sixth grade. My dad wrestled in college so he knows a good amount about wrestling. My brother started when he was in seventh grade so I was around it for four years before I started. … Then I started and I just got addicted to the sport and I wanted to be the best wrestler I possibly could be. It’s certainly a sport that requires a lot of sacrifice. Do you appreciate that aspect of it? Yes. You definitely have to make a lot of sacrifices to be a good wrestler. We train every day except for the one month we get off in June. How is your college search going? I’m still looking but I’ll probably commit [in time] for fall signing [day]. I have a few colleges in mind. It’s pretty exciting. I’ve been looking into construction management. What are your interests outside of wrestling? I like to go fishing and hunting. I also like to hang out with friends and go wakeboarding or something like that. I would say all of the outdoor activities like fishing, going to the beach, going tubing on the lake or going out on a boat. It doesn’t get too cold here; it’s always nice and sunny. What do you like about going to school at Lake Highland? I like Lake Highland a lot. There’s good teachers and they really prepare you for college, from what my brother and sister have said. 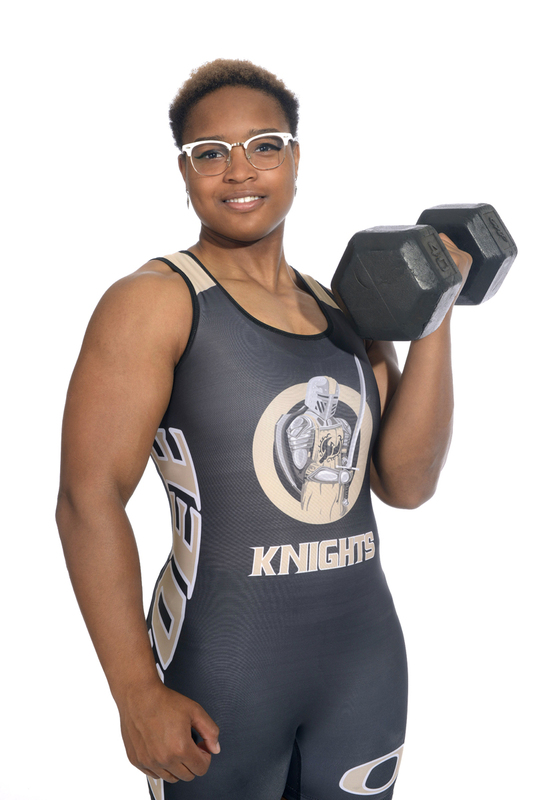 Jefferson, a senior, became Ocoee’s second-ever individual state champion in weightlifting last year, following in the footsteps of her older sister Victoria. She bench pressed 230 pounds and put up 200 in the clean and jerk to easily capture the 183-pound title, and also won district and regional crowns. Are you expecting a big senior season? Yes I am. … I’m ready for it; I’m ready to break some state records. [I’m aiming for] 270 on bench and at least 215 for clean and jerk. My bench has already gone up from last year. Yesterday I was at the gym and I did 250—one rep—so I’m on my way. My family has always been very active and I was always out doing something. I played basketball for 85 percent of my life and in middle school I did track. I did shot put as well, which is also very physical. My sister did weightlifting and broke records two years ago so I said, ‘If she can do it, I can do it.’ So I started lifting and I came out of the door swinging. I started getting some recognition. My family has been a big part of it. My dad was a football player so he was really invested in it. Can you describe the feeling of winning a state championship last year? I just wanted a state championship ring really bad, so I went out and got it. It was like a godsend, to be honest. I still don’t realize that I am a state champion until I go in my room and see my medals hanging on my wall. Or I go to a formal event and put on my ring and I say to myself, ‘Dang, I’m a state champion. That’s pretty cool.’ It’s a nice ring and I earned it, so it’s even nicer. Are you becoming more of a leader this year? I’m inspired to help all the new girls learn and be able to get to that state championship level as well. Has your dad Greg had a major influence on your athletic career? Yes. He played for the Philadelphia Eagles when I was very young, so you know he was happy [about] that Super Bowl. He was always very active and I thank God for him. Half of this stuff I wouldn’t know how to do if it wasn’t for him. He taught my sister and they both taught me. Do the three of you work out together? We always work out together. My sister is currently doing Olympic-type [training] so we work out from time to time, but it’s always me and my dad getting up at 4 o’clock in the morning and going to the gym. It’s something I love to do so I don’t look at it as a chore. My sister told me that you fall in love with the sport and I never understood that until I actually tried the sport. You really do get connected to it, as far as lifting weights, looking good and eating healthy. Is it a sport where you can easily see the results of your hard work? Definitely. Sometimes I wear nice sleeveless shirts around school and people are like, ‘Wow Samantha, I remember when you were skinny.’ I worked out and got myself right. It’s one of those things I appreciate because having a good body is an aspiration that a lot of people shoot for. Some people don’t complete it or they get tired, but when you get there and see those results it all pays off. What are your hobbies when you’re not working out? I’m a very artistic person; I like to draw, I like to paint and I like to play guitar. I also like making food and making coffee; I know how to make a really good cappuccino and a latte. Something where I have artistic freedom is what I like to do. College, most definitely. I’m hopefully going to move into some CrossFit and powerlifting most likely. I’ve already had some schools offer me too. I’m bouncing between getting my business administration degree or doing something in the artistic field. It’s all going to come together; I know that. The good thing is I’m already thinking about going to college and getting ready for that. Have you always lived in Florida? I was born in Voorhees, New Jersey and I moved down here when I was really young. I’m not 100 percent Florida; I’d say I’m 85 percent Florida. I’m from New Jersey and people don’t usually expect that. What do you like about living in Florida? The nice weather and theme parks. I also like Publix, because Publix is only down here. Plus the people are very, very nice. Southern hospitality is definitely alive down here. Do you go to the parks often? Oh yeah, I love going to Universal. It’s an easy workout because you’re walking around so much, and then you get to go on rides for fun. I love experiencing that when we get a chance to go. I like the Spider-Man ride, the Mummy, the Incredible Hulk, Rip Ride Rockit—a lot of roller coasters. 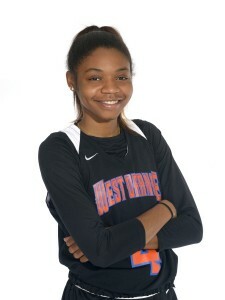 A senior point guard, Beacham does a little bit of everything for West Orange. She averaged 14.9 points, 5.3 rebounds, 4.2 assists and 3.6 steals last year to lead the Warriors to a 24-5 record and district championship. She is committed to Bethune-Cookman University. Are you excited for your senior season? I’m super excited. For this last year my goals are to win a district championship and a state championship. We have a great group of girls this year and everybody seems to be on the same page. As long as we stay focused we should have no problem meeting our goals. Do you have any individual goals? I want to get nominated for the McDonald’s All-American Game and I want to win Player of the Year. What do you like about being a point guard? I think I like it because it allows me to not only be a leader by setting an example, but also by being a vocal leader on the floor. It fits me well because of my personality. Is it a better feeling to score yourself or to drive to the basket and dish to one of your teammates for a bucket? Honestly, I really like when I help my teammates score. It’s a good feeling. I will be playing basketball at Bethune-Cookman University. I really liked the atmosphere on campus and the friendliness of the people. It really reminded me of my family when I got there, and not just the basketball program but all the professors and students. I also loved the basketball program because they’re already winning, they have a lot of confidence and they know what they’re talking about. The coaches seem very genuine. Do you think you’ll have a chance to play right away there? Yes, I do. I know if I come in and work hard I’ll have no problem playing right away. Probably business or mass communications. What kind of career are you looking to go into? I want to play professionally for a few years, and then I’d like to go into real estate. Where can you usually be found if you’re not on the basketball court? If I’m not playing basketball I’m probably at church or shopping—mostly for shoes. 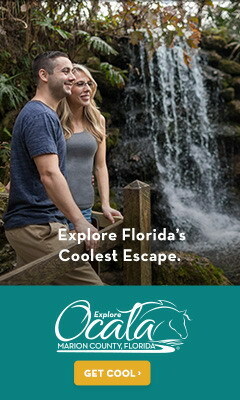 It’s always pretty outside and there are so many things to do in Florida, and they’re always adding something else. It doesn’t ever get boring. More athletes we’re keeping our eyes on this season. 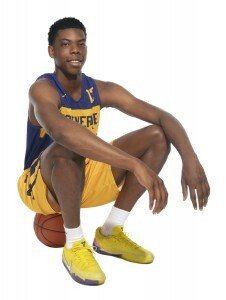 Precious Achiuwa, Montverde: A 6-foot-9 forward, Achiuwa joined the defending national champions this year after transferring from St. Benedict’s in New Jersey. He is the 10th-ranked prospect in the country according to ESPN and is being recruited by the likes of Kansas and Connecticut. Marlon Allen, Boone: A 6-5 senior forward, Allen has been a varsity player since his freshman year. As a junior he averaged 14 points and seven rebounds and shot 43.2 percent from 3-point range. Mamush Galloway, Oviedo: As a sophomore, this 6-1 junior averaged 14.4 points and 8.8 rebounds as the Lions went 21-8 and reached the district finals. 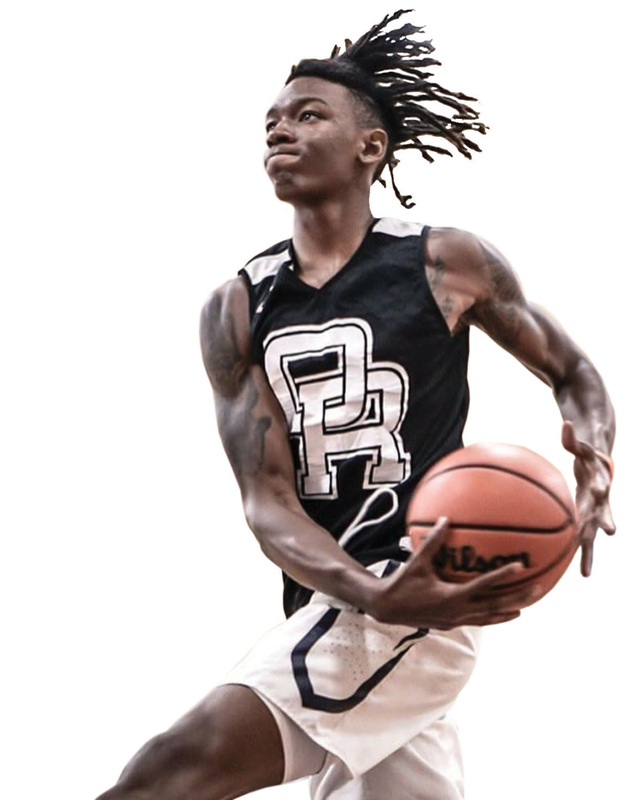 Niven Glover, Oak Ridge: A 6-4 senior shooting guard known for his entertaining dunks, Glover averaged 14.7 points for the 9A state champs and is being heavily recruited. D.J. Harding, West Orange: A standout wide receiver who will play football at Duke, Harding also shines in basketball. The 6-5 senior guard averaged 10 points last year for the region champs. Nathan Louis, Apopka: Louis, a 6-4 senior forward, averaged over 11 points per game last year to lead the Blue Darters to a 17-10 record and district title. Zoe Alexander, Dr. Phillips: A senior guard, Alexander led Dr. Phillips in scoring, rebounds and steals as a junior and is poised for a big final season as the Panthers’ captain. Anijah Grant, Oak Ridge: A 6-9 senior forward who has committed to Tulane, Grant is a tenacious scorer and rebounder in the paint. She helped lead the Pioneers to the first district and region titles in program history last year. Nyla Harris, The First Academy: Just a freshman, Harris has already played varsity basketball for three years. 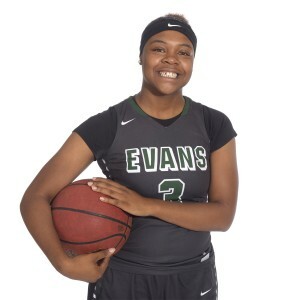 She averaged 13.2 points and 10 rebounds last season and has received offers from South Carolina, Delaware, Florida State and Auburn. Aaliyah Irizarry, Orlando Christian Prep: A 6-foot junior forward, Irizarry averaged 17.7 points and 8.2 rebounds last year to lead Orlando Christian Prep to the 3A state final. Chenoa Johnson, Olympia: Johnson, a pure shooter, shot 50 percent from 3-point range as a sophomore and averaged 14.5 points per game. Sedayjha Payne, Wekiva: A 5-7 senior forward, Payne led Wekiva in rebounds and was second in scoring last year as the Mustangs reached the district final. Calyn Richardson, Colonial: A four-year varsity player, Richardson has been part of three district championship teams during her career. She was named Most Improved last year, as she averaged 8.2 points, 4.0 rebounds and 2.7 assists for a team that reached the region final. Garrett Anderson, Lake Highland: A senior goalie, Anderson recorded eight shutouts as a junior and allowed just eight goals all season as Lake Highland went 13-1 and reached the region quarterfinals. Luke Chase, Foundation Academy: Chase, a senior forward/midfielder, had 12 goals and 10 assists last fall for the district champs. He was named Foundation’s Player of the Year. Andrew Lizyness, Olympia: Lizyness, a four-year starter and two-year captain, scored 22 goals last season as Olympia reached the region semifinals. The midfielder has committed to the University of Central Florida. Dylan Smith, Dr. Phillips: A senior center back, Smith was one of the key pieces on the Panthers’ defense as they qualified for the region playoffs for the first time in 10 years. Allie Avallone, Trinity Prep: Avallone showed a knack for finishing during her rookie season and helped Trinity Prep reach the state semifinals. Ellie Ferguson, Olympia: A junior forward, Ferguson led Olympia with 14 goals and six assists last year. She was also recently selected to represent the Switzerland U-17 women’s team. Katie Ingoglia, Timber Creek: Ingoglia is coming off a sensational freshman campaign in which she had 23 goals and eight assists for the district runners-up. 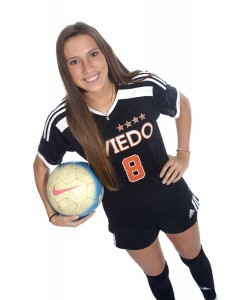 Ellie Moreno, Winter Park: The Wildcats’ Offensive Player of the Year as a junior, Moreno is a talented forward/midfielder who has committed to the University of Central Florida. Cecilie Nielsen, Montverde: A junior, Nielsen had 13 goals and eight assists last year and scored in the 4A state final against Estero, helping Montverde claim the title and finish with a 21-1 record. Alysse Sutherin, Foundation Academy: A senior captain, Sutherin started at center back last year and was named Foundation’s Player of the Year. Kai Bele, Lake Highland: Bele was part of Lake Highland’s dominant showing at states last year, as the 160-pounder captured his first state title in his sophomore season. Ryan Cody, The Master’s Academy: Cody’s impressive freshman campaign included a 30-10 record with 15 pins at 145 pounds. He took second at districts, third at regions and was the only freshman in his weight class to qualify for states. Karoline Ortiz, Dr. Phillips: A captain for Dr. Phillips’ two-time state champions in girls wrestling, Ortiz captured an individual state title at 120 pounds and went 43-0 to set a school record for wins. Matthew Simms, Apopka: A senior 195-pounder, Simms went 56-9 and reached the state quarterfinals last year for the district champions. Noel Soto, Boone: Soto went 41-13 and advanced to the state quarterfinals last year at 126 pounds. Jada St. Cyr, Dr. Phillips: A junior, St. Cyr won Metro Conference, district and regional championships at 139 pounds and also led Dr. Phillips to team titles at each of those competitions.